As I find myself back in England after an eight year break, I am reminded of everything that I wish I knew before my first trip to Merry ole England. Here is my Beginner’s Guide to London/UK, specifically for Americans. Book your hotel in advance. Most of us would do this anyway, but just in case you heard about scoring a good deal when you arrive, entry forms will require hotel/lodging information. These Landing Cards are handed out during flight and collected immediately upon arrival. Power adapters and voltage converters – British outlets are large 3 prongs and much higher voltage than US 2 or 3 prong outlets. Most laptops can “step-down” the power from UK to US, but smaller electronics can fry without the bulkier voltage converter. USB is standard around the world and many UK hotels now include USB outlets in addition to power outlets. 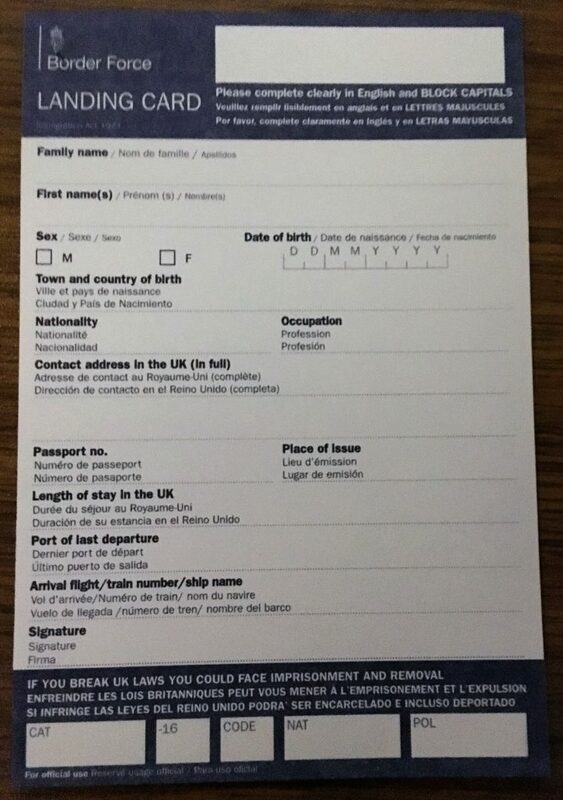 UK hotels require passport information for non-UK residents. They may take a photocopy, or record the number. Have your passport out and ready at check-in, but do not let them keep your passport. Call your bank before you leave to let them know you will be in the UK (this applies to any foreign travel). This is also a good time to request/verify PIN for chip cards. UK ATMs and banks can only process chip cards, very few places are still setup to accept magnetic stripe cards. Currency in the UK is the Great British Pound (GBP on exchange tables). 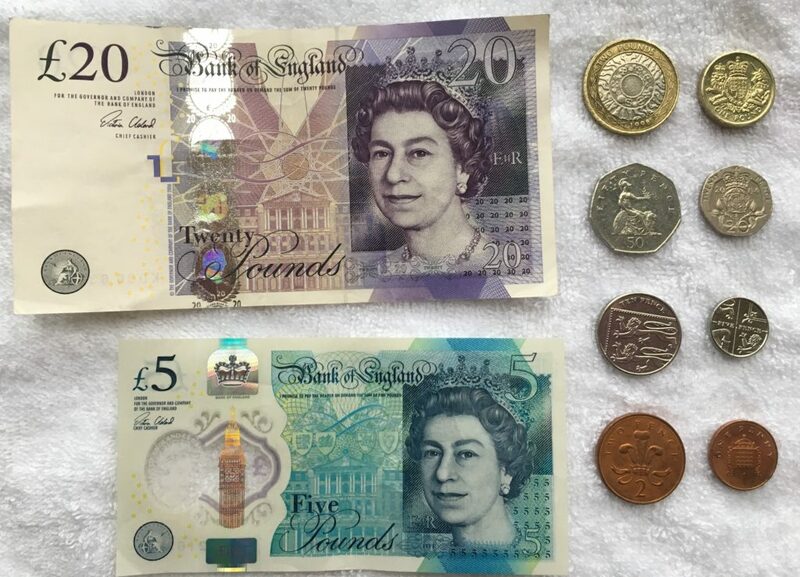 The five pound note is the smallest bill for size and amount, as the notes increase in amount they increase in size. GBP notes are wider than US currency, and may stick out the top of your American wallet. Any amount smaller than a 5 pound note is a coin, including the 1 and 2 pound coins that will slowly weigh down your wallet. Rates are inclusive. The price displayed for food and goods is the total amount, tax is included in the price. Unlike in the States, where we see the price and know to add the sales tax for the total. Hotels may add Value Added Tax (VAT) as non-inclusive and usually a separate line item. Tipping – British service staff are paid a livable wage (unlike the pathetic $3/hour in the States) so tipping in not customary. You may see a 12.5% service charge, it is discretionary, but unless you need to complain to the manager, pay the charge. If there is an option to tip, 10-15% tip is considered generous. Most flights from the US arrive in Gatwick or Heathrow airports, which are quite a distance from anything. Unless you have arranged for a pickup (tour company, friend, or chauffer) the best way to get anywhere is by train. London’s Heathrow airport does connect to the London Underground trains (the tube), which will take over an hour with multiple stops and usually very crowded to get into London for 6 pounds (GBP). 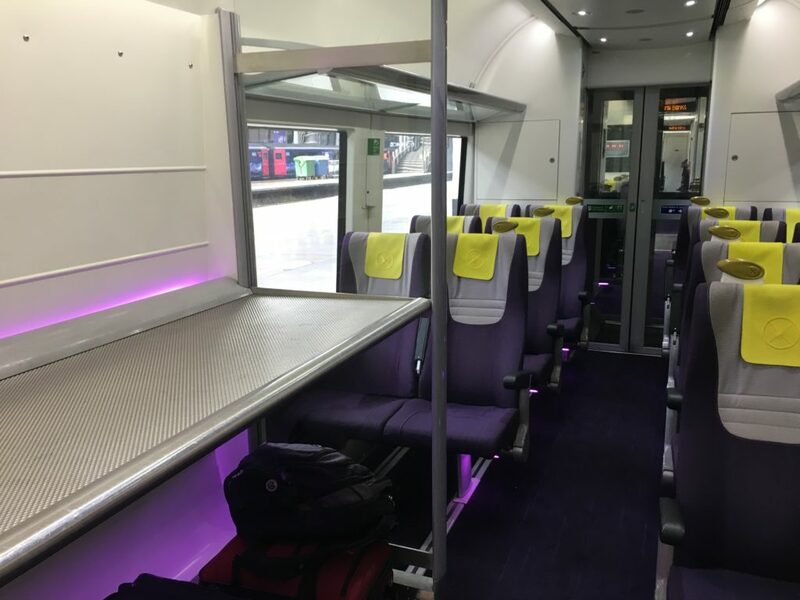 The better option is a ticket on Heathrow Express train for a 15 minute direct train to Paddington station. Tickets are 25 GBP purchased on the train, including discounted round trip tickets (round trip are referred to as “Return”). One way and Return tickets can be bought in an ATM style machine before boarding, on the train, or pre-purchased on-line for greater savings and less hassle. The London Underground (the tube) subway system is fast and efficient. Single ride tickets or daily passes can be purchased. ATM style kiosks are at the entrance of the tube station to purchase for underground transport. 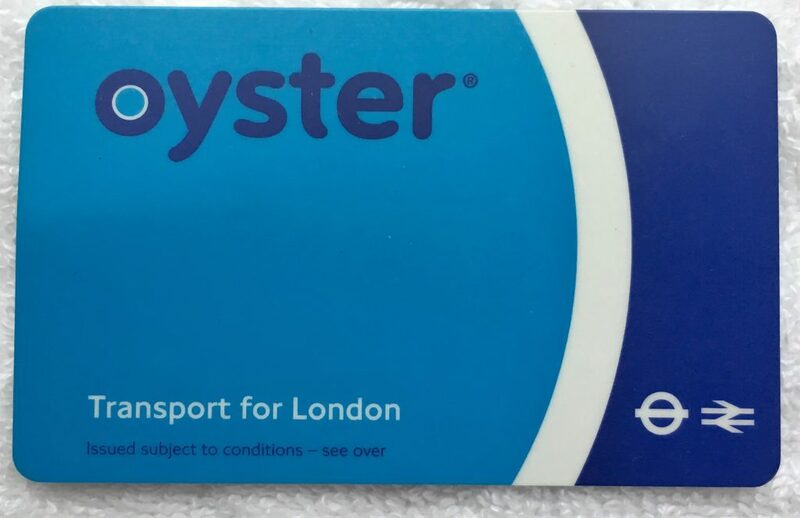 For any visit longer than a couple days, consider purchasing the Oyster contact less travel card. There is a 7 day all inclusive travel card or “pay-as-you-go” passes. Unless you are staying for exactly 7 consecutive days in Zone 1 & 2 (central London), the pay as you go is a better option for saving money and travel flexibility. A Complete Guide to the London Underground from the Flying Flusky provides everything you need to know about Underground travel! Public Transport – Buses and Underground Zones; Like NYC and other large cities, stand on the right of accelerators and moving sidewalks to allow people to pass on your left. Keep walking and avoid stopping in the middle of walkways, the transport system is efficient and fast paced. Cars are driven on the left side of the road. Car Steering wheel is on the right, with the standard order of pedal for clutch, brake, and accelerator from left to right. Unless you are planning an extended trip far into the countryside, a rental “car hire” is not necessary. Check out the train systems for cross country travel. Train tickets can be purchased day of for any travel, and there are usually discounts for pre-purchasing tickets. Dress the part in dark color, layers, and warm clothes to blend in. Nine months out of the year, between September through May, it is cold, wet, and rainy with a bit of fog for fun. Even when the sun is shining the cool wind will leave you grateful for a warm coat. June, July, and August can get warm and humid, this will not bother most Americans, but the British will complain about the unbearable heat. It is extremely entertaining! Phone calls – to dial the US from the UK, dial 1 and regular area code and 7 digit number. Most UK numbers start with 0 then 10 digits, usually formatted like 0123 123 1234. To dial the UK from the US, dial 011 44 123 123 1234, drop the leading 0 from the listed phone number and use the country code of 44 for the UK. AT&T or T-Mobile (GSM) phones can be used for an addition fee while abroad. Other carriers are not able to roam on the higher band networks. You can buy a cheap pay-as-you go phone, roam on GSM, or switch your SIM card (again only for GSM phones) for a local phone number. AT&T currently offers a $10 per day unlimited pass for international calls and data where you keep your US phone number and friends and family back home can reach you via call or text. The downside to having a local phone guarantees phone calls at 2am, and this trip was no exception. Americans can stay in the UK for up to six months before requiring a travel VISA. Your money is more likely to run out before your allowed time in the UK. Most Brits and European travelers will read this list and think this is so basic and obvious, but these are the details that will make a huge difference for Americans! English to American translation Guide – Check out this handy translation guide to navigate your way around our “common” language. Do you have any additional tips and tricks to add for first-time travelers to the UK? Leave a comment or question below, I would love to hear from you! nice information for tourist, here traveling some costly but, you good fill in UK. Wonderful article, well written and very nice informative. very helpful tips I would only add that if you are driving amber lights mean stop and go in some places – oh and beware the roundabouts – lol they can be a tad challenging. Definitely saving this – I’m going on my first trip to London at the end of July so this is very helpful! Thank you! This is so informative! I am definitely going to book mark this for my next trip! Oh wow! That’s so funny cause I’ve been to 21 countries and am from the US…but have not been to the UK yet lol This is such a helpful guide though — so thank you of this resource! I hope to visit within the next year or two! This is a great overview. I have to say, the UK is a real bargain right now! 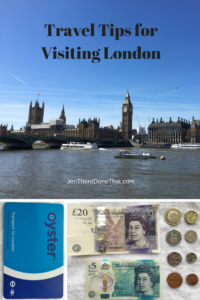 I could always find a cheap flight to London, but now it’s cheap while you’re IN London, too. I remember carefully budgeting everything when going out, but now it’s cheaper than NYC. I might have to move to London for a bit just to take advantage of it while I can. #5 is so true! Whenever I go back to the UK (I don’t live there anymore) “the 1 and 2 pound coins that will slowly weigh down your wallet” drive me CRAZY!!! #12 is one of the reasons I left the UK – Britain gets only a few weeks of warm weather a year and the complaining is crazy. I love hot weather! $3 an hour for servers!? That is horrendous. Great info!! I’ve been to the UK before but I’m actually going again next month so this was helpful to review since I go so many places and they all have different rules (obviously) 🙂 The tipping rules were especially helpful. Thanks for sharing! 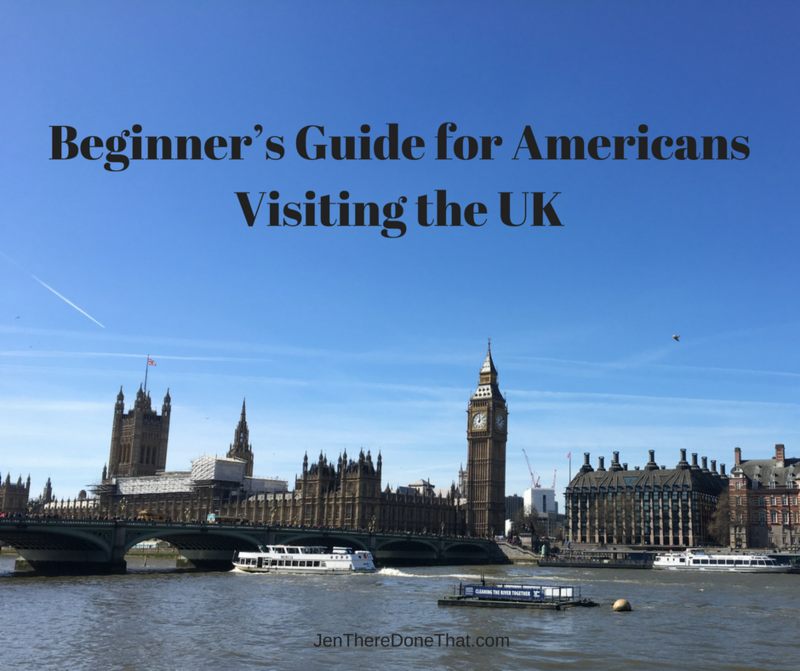 I’ve never been to UK so this is a really great guide! It is good to know that the rates are inclusive – so no surprises when the bills come. I will definitely consider buying the Oyster travel card! Glad the photo is useful! I purchased a cheap wallet with double coin area and taller to hold the larger UK currency. It is the little details that really add up. This is a useful guide for those planning to travel to the UK. I love the tips about the tipping. It can be difficult to decide on the spot if tipping is required or not; of course, you would not want to be rude to the wait staff. Haha, #12 made me laugh. As an Irishman, it is a sad reality that the weather in Ireland and the UK fluctuates between miserable and “too hot”. Always a source of simple conversation though! 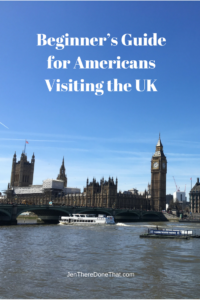 Great tips for Americans crossing the pond. I totally endorse the power adaptor point. You don’t want to fry your appliances over there! wow these are some great tips. even though i am a european some tips are really useful. do you think that there will be many changes due to the brexit? I doubt Americans will notice any difference for the Brexit. Hopefully the changes are minor for EU folks, too.